Step forward radio-frequency identification (RFID), a technology that uses electromagnetic fields to automatically identify and track tags attached to objects. Here, we answer some of the many questions that hospitals and OEMs may have around this increasingly popular technology. What can RFID tags offer? RFID tags can contain a wealth of information about a medical device or its components, which OEMs can start to record during the product development stage. Examples include the product identifier, manufacturing date and expiration date. Additional details can also be added to the tag throughout the product’s lifecycle, such as shipping date from the factory, sterilization date at the hospital and any treatments where it was used (to ensure accurate patient billing). Is it safe to use RFID? The official word from the U.S. Food & Drug Administration (FDA) is that it is ‘not aware of any adverse events associated with RFID’. Additionally, a research team at Purdue University Indianapolis (IUPUI) found that a properly configured RFID system is safe to use around medical equipment. To maximise the safety of RFID, it is important to ensure that all the components used are genuine, down to the battery. 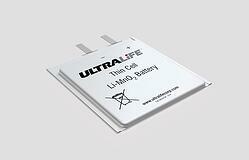 Ultralife Corporation design and manufacture batteries from an ISO 9001 certified facility in the US. 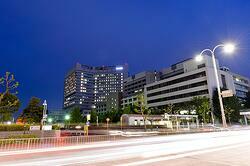 Furthermore, the ISO 13485 standard has been awarded for quality management in relation to medical products. RFID systems can be powered in two different ways; either the tag itself is battery powered (active) or the tag reader is (passive). Active RFID tags are commonly used as “beacons” to accurately track the real-time location of assets. Active tags provide a much longer read range than passive tags. Although active RFID systems are more expensive than passive, the ability to accurately track assets can be invaluable. Passive RFID tags are used for applications such as supply chain management, smart labels and more. The lower price point per tag makes employing passive RFID systems economical for many industries. For active RFID, the compactness of the battery is likely to be a major factor, as OEMs aim to keep the tag as small as possible. Ultralife Thin Cell batteries are manufactured as thin as 0.4mm but offer significantly better performance than coin cells of the same capacity (with continuous discharge currents 10 times greater). ER cylindrical (Li-SOCI2) batteries are equally compact; some measuring the same as an AA battery. As handheld devices continue to get smaller and lighter, passive RFID tag readers can also benefit from compact batteries like the Lithium Thionyl Chloride range. 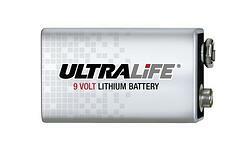 However, one of Ultralife’s best-selling products is the 9V lithium battery that has proved to be a hit in many handheld scanners; offering a 10-year shelf life that is ideal for devices that suffer from long periods of dormancy. All these batteries have been pre-engineered at Ultralife’s ISO 9001 certified facility in Newark, USA and are available to buy online with no NRE costs. With the increasing threat of counterfeit medical devices or components being used in hospitals across the US, it has never been more important to get RFID tags and readers on the market. 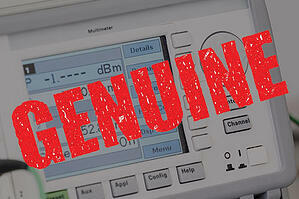 However, it is vital to ensure that every component is genuine, down to the battery.